Have you seen anything as attractive as this Eko Florentine 360? A double florentine cutaway is always beautiful, it's a plus if it's on an archtop, but when the two horns have these Bison-esque curve, I just can't resist! Add to this the fancy double pickguard and big square white switches and you wonder why you weren't born 50 years before and in Italy, when it was ordinary for guitars to be so cool! That is badass! What are the 4 switches for, I wonder? hi, can I ask a question? Can I remove both the pick guard from the Florentine 360? I'm sure about the low one, but doubtful about the top one. 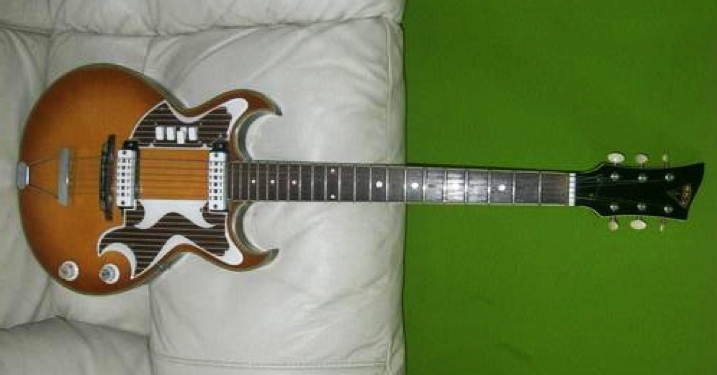 My first guitar was this identical one. Im sorry I sold it. The switches are your pickup selectors.